Smokers Land is a unique, upscale specialty tobacconist of hand-made premium cigars complimented by pipes and cigar accessories from countries all around the world. 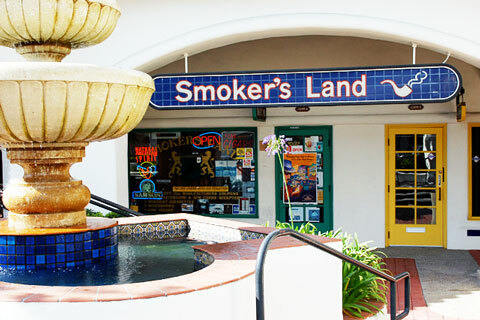 Smokers Land has been serving the San Diego area for over 15 years. 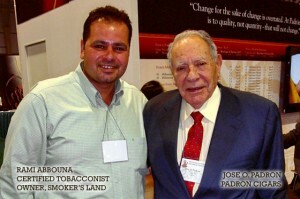 Owned by seasoned tobacconist Rami Abbouna, Rami has helped countless customers with all of their tobacco needs. Smokers Land also carries a full line of premium gifts and apparel for the cigar aficionado. Our walk-in humidor keeps our world class selection of premium cigars humidified to perfection. Enjoy the new expansion of our walk-in humidor, which provides an even wider selection of fine cigars at the most affordable prices in San Diego. We keep our cigar humidor in a climate controlled environment so that your cigars are always humidified to perfection (70 relative humidity/70 temperature). We proudly carry our own Smoker’s Land house cigars. With your cost starting as low as $4.49 per cigar, Smoker’s Land Cigars are handmade in Nicaragua by the same factory where many of the top rated premium cigars are made. Our house cigars are equally smoth, flavorful and well constructed. Choose from Natural Ecuadorian Habana Seed or Maduro Connecticut Broadleaf wrappers with Nicaraguan binders. The filler is a special blend of aged Nicaraguan, Honduran and Dominican long-filler tobaccos. Let us be your source for superb quality cigars! Visit us today, and if you ever have any questions, please send us a message or call us anytime!